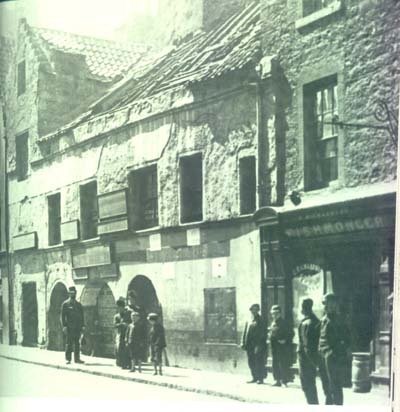 The Cant Ordinary was a Tavern in the Kirkgate beside Trinity House. Unfortunately it was demolished in 1883 because it probably was one of the oldest buildings in Leith perhaps dateing to the 12th century however the top part dated from the 16th/17th century. In its time ministers of South Leith stayed there, and during the time of the regents meetings took place here that effected the future of Scotland, in the later 17th/18th century duels took place here.